Are you looking for a Tahoe Truckee real estate agent? When you plan to sell your home, one of the most important decisions you have to make is choosing a real estate agent to represent you. With hundreds of agents promoting themselves, how do you know which one to choose? Hi! 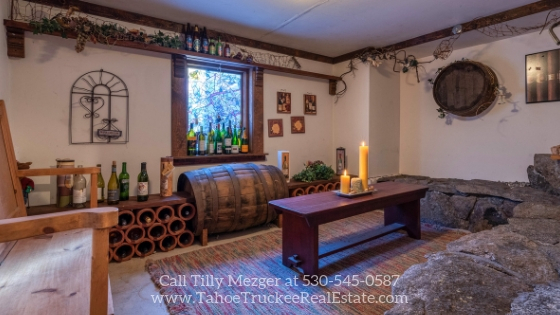 I'm Tilly Mezger, Lake Tahoe Truckee's best Realtor®. In this post, I'll share with you why you need a real estate agent, what home buying mistakes you can avoid when you hire a real estate agent, and more. Here are the things we'll be covering in this post. Feel free to click on the topics that interest you the most. When you’re ready to choose a real estate agent for your luxury home for sale in Lake Tahoe, do you know who to turn to? 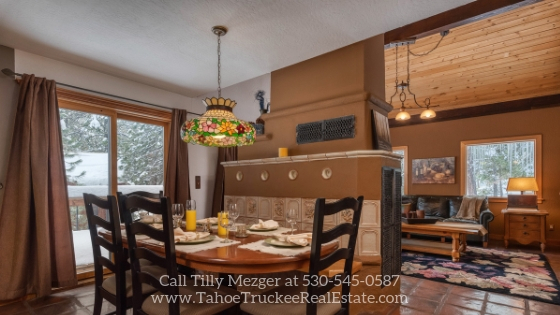 Meet Tilly Mezger, Lake Tahoe’s best Realtor®. 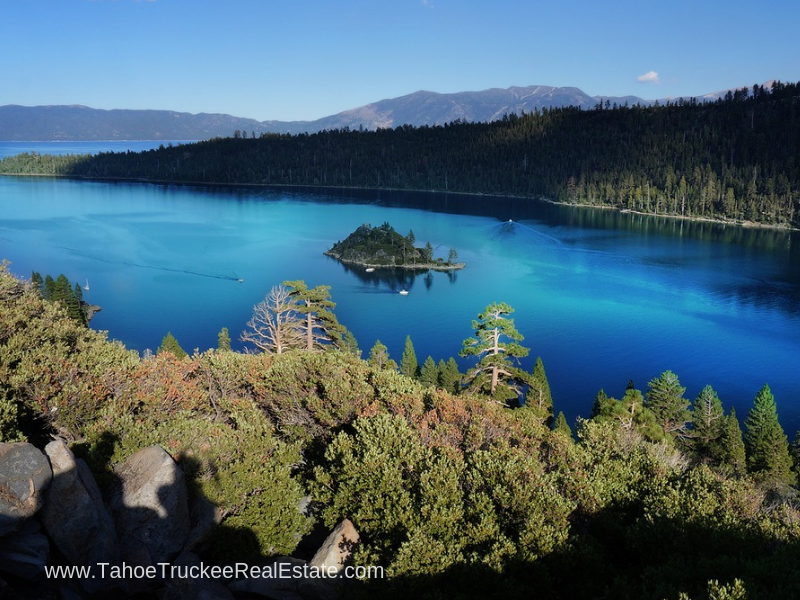 Ready to sell your Lake Tahoe home? Are you thinking of selling your vacation home in Lake Tahoe? If you are, you must already be looking for a real estate agent who you can trust. Deciding who to turn for help in selling a lakefront home can be a challenge. Your property is not just a regular 3-bedroom home with a view of the lake, it is most likely a million dollar home with a view of the most beautiful lake in the world. So yes, finding the right Realtor to trust can be difficult because it involves getting top dollar for an expensive investment in one of the prime real estate areas on earth. Navigating a real estate business deal for a highly valuable investment can be intricate so you need the help of someone who is experienced, knowledgeable, reputable, and skilled to give you the best advice. Someone like me, Tilly Mezger. Serene mountain views, excellent craftsmanship, and a genuine sense of tranquility are just some of the many things you can expect from this stunning Tahoe Donner mountain retreat. Nestled on a gently sloping lot and sheltered by towering trees, this home features 3 bedrooms, 2 bathrooms, and 2,240 square feet of living space. It showcases a seamless merge of European style and modern convenience, resulting in a Bavarian style home with a timeless appeal. 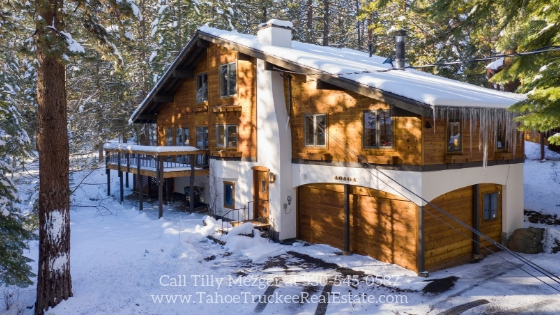 If you are looking for a home where you can relax, enjoy peace and privacy, and feast on spectacular views, this Tahoe Donner home is the one you’re looking for. And once you're here, you will never want to leave. The home's classic exterior features, together with the curved driveway and surrounding tall trees, present a sense of calm and welcome. Step inside a bright and airy interior with an open floor plan. Featuring tile floors, neutral-toned walls, vaulted ceiling, and gorgeous wood accents on the walls and ceiling, this home’s interior has a warm and inviting ambiance. Relax and entertain in this home’s spacious living room which boasts of an island fireplace. On extra chilly days, snuggle by the fireplace with your hot cocoa to keep toasty and warm. Across the living area behind the island fireplace is a spacious formal dining room with a fabulous floor space which can easily accommodate an eight-seater dining table. The exposed beams and beautiful woodwork, together with the hanging chandelier, add elegance to this already visually appealing dining area. A few steps from the dining area is a gourmet kitchen, a lovely combination of modern appliances and tasteful design. It features a large cooktop island, granite countertops, and stainless steel appliances. Whether you are entertaining a crowd or preparing a heart-warming dish for your loved ones, this kitchen is ready to deliver! Sliding doors open to a large balcony, a perfect spot to enjoy the crisp, fresh air and lovely mountain views. Add your outdoor grill and you have a great place to enjoy a barbecue party with your friends and loved ones. The inviting ambiance of this home echoes throughout all three bedrooms. The master bedroom offers a generous floor space where you can relax and recharge. This mountain retreat has so much to offer. Are you looking for a more private area for you and your loved ones? The family room is the best choice. Thanks to the carpet floors and warm-toned hues of the wood ceiling, this family room has a cozy and relaxing ambiance. Enjoy wonderful bonding moments with your friends and loved ones in this charming space. This Tahoe Donner has a special surprise waiting for you! Hidden off the laundry area is a secret wine room with some very cool features like chairs made out of stone slabs. It’s a great space to hang out and share stories while sipping wines from around the world. If you love to entertain, this wine room is the best place to store local and imported wines. 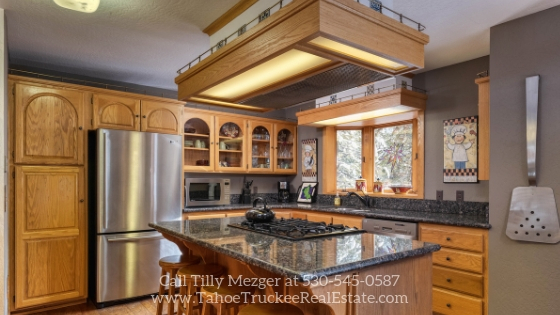 There are many things to love about this home for sale in Tahoe Donner. Are you looking for a place that offers great schools, excellent amenities, and a warm sense of community? If you are, Tahoe Donner is what you’re looking for. Located near the crest of Sierra Nevada, this community is the best location to live in if you love winter sports. A golf and ski community, Tahoe Donner has everything that you want. It has a golf course, a private tennis club, a private marina on the lake, hiking/biking trails, equestrian center, downhill ski resort, a world class cross country ski resort, and more. 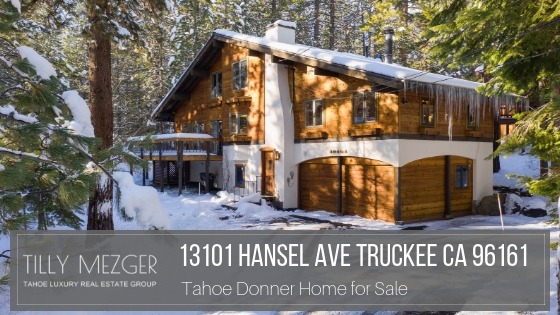 This home is only half a mile away from Tahoe Donner Association, less than two miles away from the Tahoe Donner Golf Course, and a little over three miles from the Tahoe Donner Downhill Ski Resort. When you want to hit the waters, Tahoe Donner Beach Club Marina is only three miles away. Craving for your favorite burger? 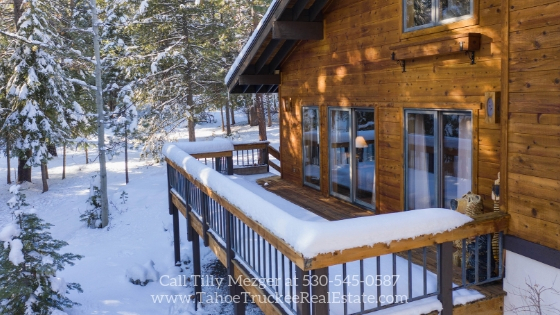 This home is only four miles away from downtown Truckee where you'll find many shops and restaurants. Best of all, Lake Tahoe is only a half hour drive away. With picturesque views all year round, you can be at the world’s most beautiful lake in minutes. This home places you just minutes away from over eight major ski resorts in the Lake Tahoe area! This stunning Tahoe Donner home for sale delivers privacy, retreat and the best of comfort, and it can be yours for $675,000. This is an opportunity YOU WOULD NOT WANT TO MISS. Call me, Tilly Mezger, at 530-545-0587 and make an appointment to see this spectacular mountain retreat. Just Listed - 292 Basque Drive Northstar Tahoe Resort. 4 bedrooms, 3.5 baths, 2507 square feet, built in 1995. Immaculately kept. Rarely does a home of this quality come to market. 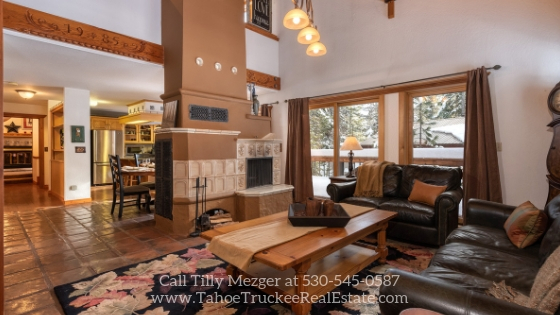 You will be impressed by the calm warmth of this meticulously maintained Northstar Tahoe home. Filled with light, soaring ceilings, huge windows and custom finishes, you will feel you have arrived to your perfect retreat. The stunning updated chef's kitchen offers an abundance of space for several foodies to work together, preparing wonderful culinary creations. Intricate details include 2 ensuite master retreats, 2 guest bedrooms, an adjacent loft allowing extra space for guests with beautiful views of the wooded setting. Enormous deck space allows for family and friends to gather sharing cheer while relaxing and overlooking the forest. Easy access to Northstars famous Lookout ski mountain, golf course, tennis and fitness center, and the Thompkins Martis Valley trail system. Simply stunning, this wonderful home offers the adventurous Tahoe lifestyle you have dreamed of. Enjoy beautiful views of Northstar's Lookout Mountain and the Carson Range from this delightful home backing to forested open space. Offering an easy flow open floor plan with spacious great room, chef's kitchen, and first-floor master suite. Numerous upgrades accent the intricate details throughout this immaculately kept home. Enjoy the fresh mountain air from the wrap around deck or cozy patio fire pit. An easy walk to PJ's restaurant and Grays Crossing Pool, Fitness, and Golf clubhouse. According to John Graham, 2017 RSAR President, “The Reno market remains in a seller’s market state, with just four months supply of inventory“ pricing continues to increase and more increases in interest rates are projected in the upcoming days. Alternatives could be either in the rental sector or purchasing in surrounding communities:. As of February 2017, new listings are up 28% at 488 compared to January and down 16% from one year ago. We are seeing the Reno market real estate market remain in a seller’s market, with an inventory supply of 4 months supply. of inventory is the time it would take to exhaust the active and pending inventory at the current rate of sales. Conclusions ? Median sales price are at new high of $320,000 since the beginning of January 2012.